﻿ Which Season is the Best Time to Visit Gatlinburg TN? Which Season is the Best Time to Visit Gatlinburg TN? 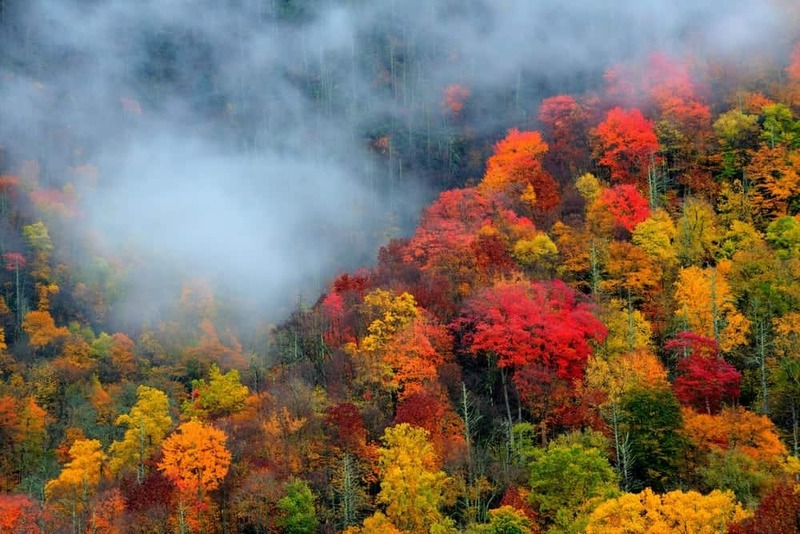 When it comes to nature’s seasons, there really isn’t a best time to visit Gatlinburg TN because each season has its own unique things to offer. However, there are specific times to see certain things happening in Gatlinburg during each season. Gatlinburg also makes it easy to visit when it is most convenient for you, because just like our cabins, many restaurants, attractions and shops stay open all year round. So, you really can not go wrong when picking the best time to visit Gatlinburg TN, but here is a breakdown of the things you should see depending on the season. Winter is a romantic and special time to vacation in Gatlinburg. The cold yet beautiful winter mountain wonderland of snow makes it perfect for snuggling up with a book or your significant other in one of our Gatlinburg cabins with a fireplace, especially if you have a magnificent mountain view. You can also visit Ober Gatlinburg, which is a ski resort with multiple attractions open all year long. Gatlinburg is also known for it’s many unique Christmas shops, which are perfect for shopping for all of your favorite Christmas decorative items during, before and after Christmas sales. One of the best events in Gatlinburg in the winter months is Winter Magic, which is the placement and lighting of all of the downtown Christmas lights, a spectacular view available all until the end of February. Don’t forget about the winter holidays. Even though many places are not open on Christmas Eve or Christmas Day, spending Christmas with family in a cabin is a marvelous idea. You can also ring in the new year with our very own ball drop in Gatlinburg, and there are always indoor attractions available for entertaining you and your group during your stay. Winter may be the best time to visit Gatlinburg TN for you, but we have tons to offer all year long. Spring is the time of the year for the ice and snow in the Gatlinburg mountains to melt, and for the new greenery and flowers to start appearing to give the wildlife some new color. One of the most popular events in Gatlinburg during the spring is the Spring Wildflower Pilgrimage. This is a five day event that celebrates the coming of spring in many ways including: hiking to see the new variety of natural flora and fauna, photographic tours, art classes and indoor seminars. The dates for this event are usually held in the month of April. Spring is the perfect time to take a relaxing stroll the the Great Smoky Mountains National Park because the weather is ideal. While viewing the wonders of nature’s colors, you can enjoy the cool spring breeze and mists of the nearby waterfalls. But no matter what the weather is like in the spring, you can still enjoy spring in Gatlinburg by visiting the Gatlinburg shops and indoor attractions. Because there is so much to do in Gatlinburg, many have made it their go-to spring break spot. We have indoor water parks and Gatlinburg cabins with swimming pools to accommodate your need for some water when you would rather not travel too far for sea water warm enough to relax in. Spring may be the best time to visit Gatlinburg TN for your group if you enjoy the renewal of all the beautiful flowers and visiting our indoor attractions. Summer is prime time for vacations anywhere you go. There are so many things going on after children finish up the school year, and we head into Memorial Day and Independence Day. After that we wrap up summer with tax free weekend and back to school shopping. However, between all the summer months, Gatlinburg never stops the fun. In June, the fireflies in Elkmont make their appearance. These fireflies only appear in Gatlinburg to light up in unison while creating an amazing once in a lifetime scene you can’t find anywhere else. June is also when Smoky Mountains Tunes and Tales begins, which is a summer long festival displaying talent performed by local musicians, artists and storytellers. To take part in this treat, all you have to do is walk in the streets of downtown Gatlinburg, and you’ll find yourself singing, dancing and having a grand ole time. The Gatlinburg Parkway trolley is also free from mid June to mid August, which makes everything easily and affordably accessible. In July you really don’t want to miss our unique 4th of July parade, the First Independence Day Parade in the Nation, that occurs at midnight to kick off all the 4th of July celebrations. August is the perfect month to take a stroll through our many shops downtown for great prices on back to school gear, and not to mention for a pool party at your Gatlinburg cabin. Summer may be the best time to visit Gatlinburg TN for you and your family if you enjoy fun in the sun. Every year as the summer heat fades away, the wondrous colors of fall start to pop up everywhere. Gatlinburg is known for its fall foliage scenes, and many visitors come and feast their eyes on this beautiful natural treat in the mountains by booking a cabin with a scenic mountain view. October 1st through November 15th is the peak time for viewing color in the fall season. This time of the year is perfect for fall festivals and fun events for entertainment. 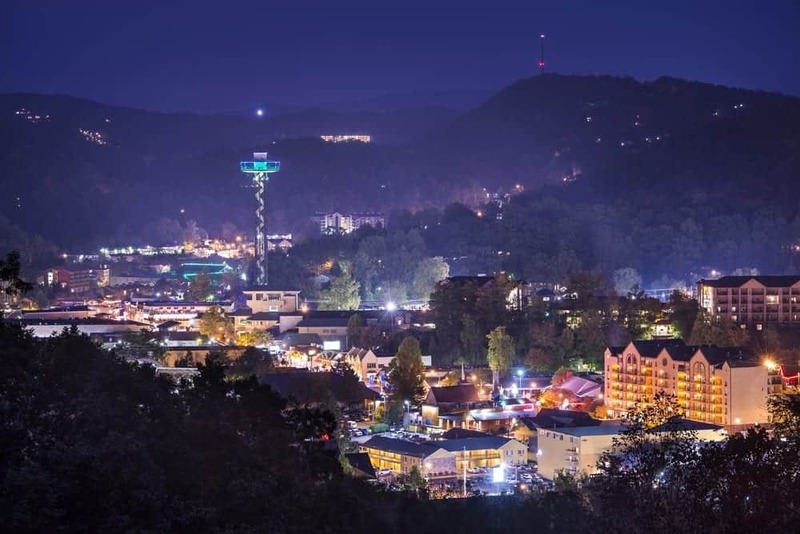 From the end of September until the beginning of November, if you visit Ober Gatlinburg you’ll get to take part in OktOBERfest, which is a yearly commemoration of the popular festival in Germany. You’ll find tons of music, folk dances and singalongs during this festival. Also during the month of October, you can visit Ripley’s Haunted Adventure on Fridays, Saturdays and Sundays for a good Halloween scare. Veterans Day is celebrated in November, and in Gatlinburg we salute to our country’s veterans on November 11th every year with music and other patriotic tributes. Fall may sound like the best time to visit Gatlinburg TN for you and your family because of all its fall beauty and local events. If you enjoyed reading this article, you will enjoy reading about other Gatlinburg TN attractions to help you plan when to take your next Gatlinburg vacation.